Successfully Added Awesome SATA HDD Media Enclosure with HDMI to your Shopping Cart. A fully featured SATA media enclosure at a wholesale price? It can only be Chinavasion! 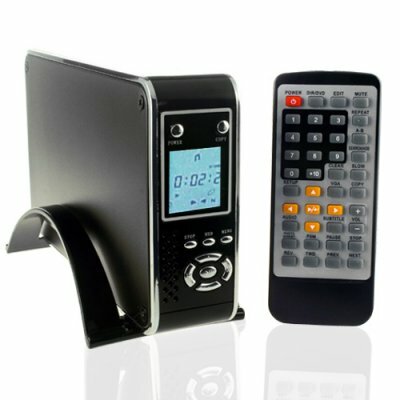 This unit includes easy navigation by front panel buttons or remote control, support for all major media formats including subtitles and it's attractive to boot. Keep your drive cool with the 80mm internal fan and keep the lounge looking cool with the gorgeous blue display. A cast array of outputs have you covered with everything from HDMI down to composite video. There's even a USB and SD card input to boot for quick viewing of the photos from your memory card then back them up quickly and easily by using the simple copy function. The CVSB-816 makes digital media come alive and is only available from your source for wholesale direct from China electronic products, Chinavasion. This unit is not capable of playing native 720P or 1080P HD content files *.wmv9 for example.